Friends, family, and fellow officers will come together at Police Headquarters Friday, at 3 pm, to bid farewell to Detective Andy Green. Detective Green’s first day on the job was February 3, 1992. His distinguished career has included assignments to midnight and afternoon shift patrol, and a special assignment to public housing — which earned Green and his partner the honor of Optimist Club Officers of the Year in 2000. 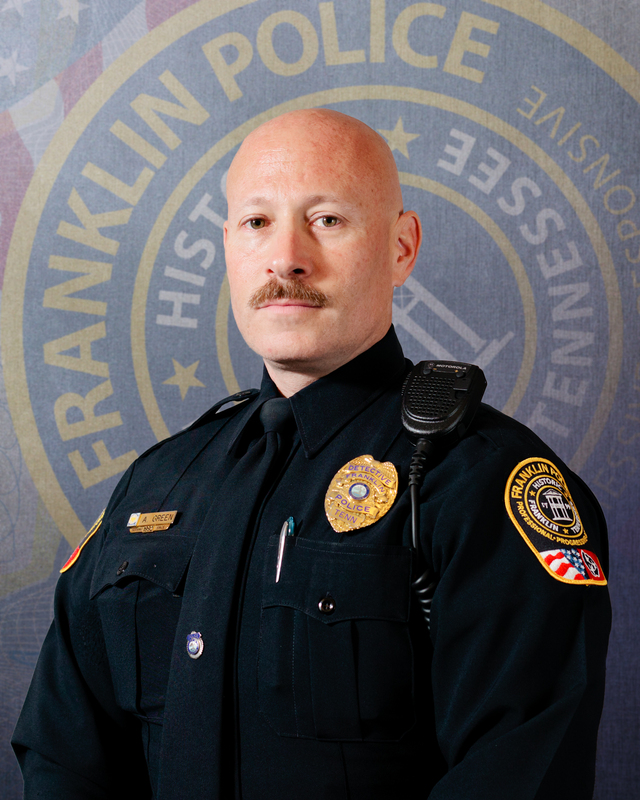 As a Field Training Officer, Green taught new police recruits what they needed to know about protecting Franklin. Other assignments in Det. Green’s career include SWAT, Bike Patrol, and a 9-month assignment as acting sergeant. Officer Green became Detective Green after a 2002 promotion. As a member of the Criminal Investigation Division, Det. Green’s assignments included Narcotics & Vice, and a special assignment to the Drug Enforcement Administration’s Nashville Task Force. During that eight-year assignment, Det. Green was involved in investigations impacting middle Tennessee and other communities across the U.S. Detective Green is the current President of Williamson County’s Fraternal Order of Police. where friends, family, and the public are welcome.